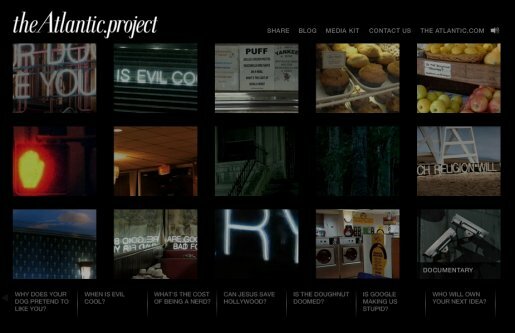 The site includes a media kit aimed at potential advertisers, and a blog designed to field discussion on the questions posed in the documentaries. Each question is presented as an article from the archives, a downloadable photograph, a short video and a documentary. The Think Again campaign was developed at Euro RSCG New York by creative director Jose Cabaco, copywriter Christian Travers, art director Dave Arnold, digital art director Stephen Petronis, agency producer Adina Birnbaum and director of integrated production Joe Guyt. Filming was shot by directors Joakim Reveman/The Vikings via Paranoid U.S. with director of photography Felix Leiberg, executive producers Claude Letessier and Phillip Detchmendy, and producer Janice Biggs. Editing was done at Lost Planet by editors Charlie Johnson, Jennifer Dean, Dominic LaPerriere. Music was composed by Mitch Davis at Pull, New York, with executive music producer Scott Brittingham.